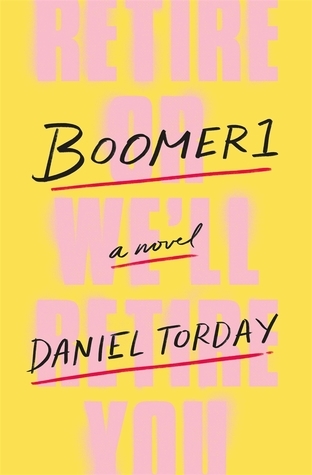 Told through the perspectives of Mark, Cassie, and Mark’s mother, Julia, a child of the ’60s whose life is more conventional than she ever imagined, Boomer1 is timely, suspenseful, and in every line alert to the siren song of endless opportunity that beckons and beguiles all of us. I enjoyed the premise of this book. Why are so many millennials moving home and not being able to find jobs? Why are these people so angry at baby boomers? Told through the eyes of Mark,Cassie and Mark’s mother we have voices of all generations. One thing that bothered me was the huge words over and over again. Not necessary. I felt like a lot of this should have been edited better as Mark comes off as out of touch and entitled. Cassie is more go with the flow and Julia certainly doesn’t want her adult son living down in her basement making videos that have her being followed by the Feds. While I can understand the angst of not being able to find a job, what exactly did he expect to do with a liberal arts degree, if not teach. He says there are no jobs. While right here where I live they are begging for teachers. Unfortunately not every book clicks with a reader and this one had so many 6 syllable words that it just felt off. They didn’t mesh with the story well. Great content,i love the chronology in your points. I read this one too. I totally agree with your point about 50-cent words. It may have been a try at characterization, but it didn’t work for me either.